Around 73 per cent voters cast their votes across 33 districts till 4 pm, and the final figure was likely to go up, an official said. Ahmedabad: Voting for around 1,145 village panchayats was held peacefully across Gujarat today, with results scheduled to be announced on Tuesday, officials said. 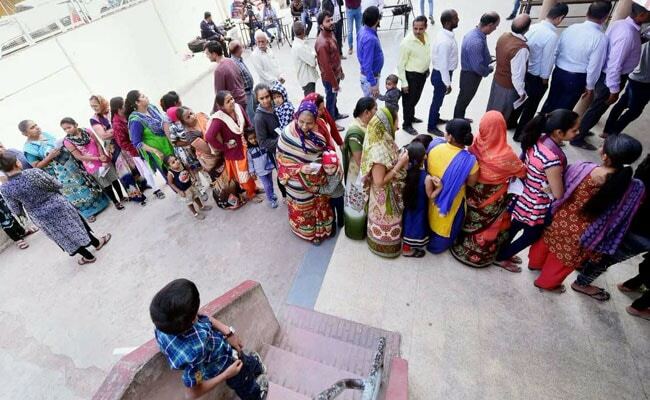 Around 73 per cent voters cast their votes across 33 districts till 4 pm, and the final figure was likely to go up, an official of the State Election Commission said. A total of over 22.5 lakh voters were eligible to vote, he added. As many as 218 village Panchayats were declared "Samras" after the villages chose their sarpanch and ward members through consensus, the official informed. Voting in one booth at a village in Chhota Udepur district was suspended after the candidates complained that their election symbols were missing from the EVM. The SEC official said that repolling would be held tomorrow at this booth. Elections for sarpanch and ward members are not held on the symbols of political parties but candidates are generally backed by these parties. This election comes a couple of months after the state assembly elections, in which the opposition Congress had an edge over the ruling BJP in rural areas of Gujarat.